Visigami present the list of some eminent apps (applications) which run on Android OS that meet the guidelines for free software or open-source software. below are the some famous apps for Android platform which are very useful for user. WeChat is a very popular mobile application in China, in fact it has 300 million members worldwide, including 240 million in China alone. It is available in other languages since April 2012, the launch outside of China. Weixin is the Chinese name of the application launched by the Chinese Internet company Tencent. Its expansion in 2013 to understand the international including India. 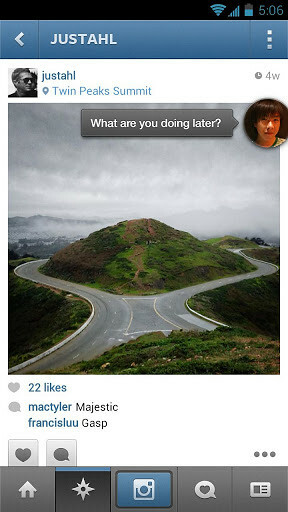 The application now generates 700 million geolocation activities per day. Many experts in Social Media explained that the mobile application has a high marketing potential for brands but also for games or m-commerce knowing that WeChat is different from Weibo, a Chinese microblogging platform. Applications under WeChat are sharing video content photo, location-based services through its social plug-ins (“Shake”, “Look Around” and “Drift Bottle”), QR Codes allow you to find friends and brands and obviously enhanced service Chat with function calls and video conferencing. WhatsApp Messenger is a proprietary instant-messaging application for smartphones that uses the Extensible Messaging and Presence Protocol. 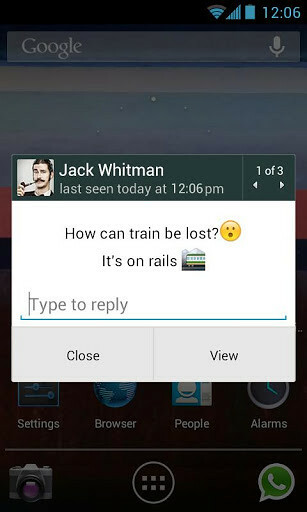 Unlike iMessage, WhatsApp and other services is available for several operating systems: It is available for Apple iOS, Android, BlackBerry OS, Symbian, Windows Phone 7, Windows Phone 8 and Meego. Under Windows, Mac, or in Web browsers can use Whatsapp only with the help of Android emulators. WhatsApp Inc. in 2009, with headquarters in Santa Clara (California), founded by Brian Acton and Jan Koum. In the name of WhatsApp is a play on words from the English phrase “What’s up?” (About “What’s the matter?”, “What’s up?”) And the term app (by application, application). In addition to instant messaging, there is the opportunity to share photos, contacts, audio and video files as well as share their own location, which was determined by GPS. WhatsApp synchronizes with the phone contact, so that the user must perform a separate address book. According to Stiftung Warentest WhatsApp sends the names and phone numbers of the user unencrypted to a U.S. server, so they are easily readable for potential attackers. Also from privacy perspective, the central storage of phone books of all users is very questionable. The launched by rival operators Joyn uses a decentralized structure, and the contact details of the user will not be transmitted or stored centrally. In May 2011, a different vulnerability was discovered which allowed the hijacking of user accounts. Conversations that are made with WhatsApp were not initially encrypted, thus the data is sent and received in plaintext. This meant that the messages were easy to read, if the network is spied by an attacker. 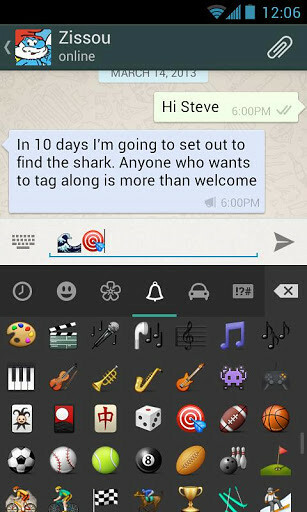 Since August 2012, the conversations, the user will be sent encrypted. 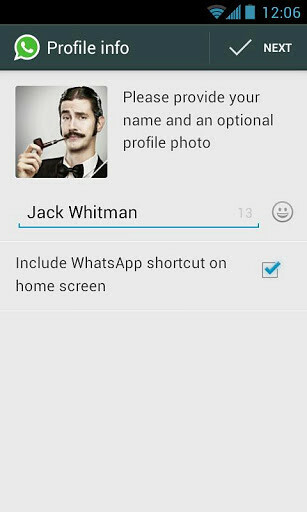 On 6 January 2012, an unknown person published a website that allows you to change the status of any WhatsApp user under the condition that the telephone number is known. According to the hacker in this case only one of many other vulnerabilities will be exploited. 9 January 2012 WhatsApp Inc. reported that the website will be permanently deleted. 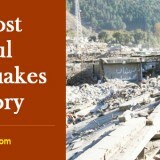 However, blocking the IP address of the site was the only measure that had been hit. In response, a Windows application is available for download from hackers who offered the same functionality. 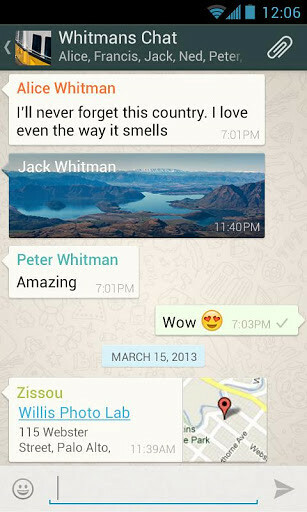 A few days later, on 13 January, 2012, Whatsapp disappeared from the Apple App Store. The reasons are unknown, but are probably related to the vulnerabilities. The developer of WhatsApp then submitted a new version of the app from Apple, which was added to the App Store. In September 2012, it was announced that can hijack foreign accounts with easily accessible information. To meet with the Android phone of the user and the serial number (IMEI) of its smartphones and iOS with the MAC address of the WLAN interface. From both data can be a simple script the password to the account are calculated WhatsApp. A hacker has created a Web site that can thus send messages from foreign accounts. The security gap is closed in the meantime occurred again in November 2012. Facebook is a social networking website that was founded in 2004. Here is a list of features that can be found on the Facebook website, including features of the site technology. In September 2010, rumors of “Facebook Phone” similar to Google’s Android is popping up on news sites and technology business industry. In an interview with well-known technology blog, Techcrunch, CEO Mark Zuckerberg said, “Our strategy is very clear. We are trying to build a social layer for all people,” but denied that they were trying to compete with Apple’s iPhone or Android. it’s the best video player on android. It’s one of the lightest on hardware too. It has vast codec support. Take it, take it now. CUSTOM CODEC BEFORE 1.7.14 IS NOT COMPATIBLE WITH THIS VERSION. PLEASE UPDATE CUSTOM CODEC IF YOU ARE UPGRADING FROM 1.7.13 AND EARLIER. (1.7.15a) Fix-up for crash when called from external app. 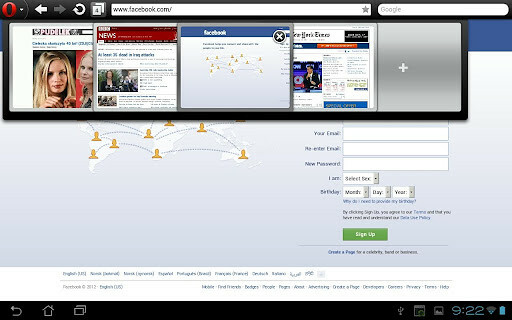 Fixed navigation bar at the bottom to be hidden while playing video on Jellybean tablet devices. Fixed custom codec to be reloaded automatically. Added thumbnail rebuilding menu for each videos. Changed video/folder property texts to be select-able. Truecaller is a global phone directory application for smartphones and feature phones, and accessible via a Web site, developed by True Software Scandinavia AB. It finds contact details globally given name or telephone number, and has an integrated caller ID service using Crowdsourcing to achieve call-blocking functionality and social media integration to keep the phonebook up-to-date with pictures and birthdays. The name Truecaller comes from the app being able to show the True name of the Caller. The client is available for Android, BlackBerry OS, iOS, Series 40, Symbian, Blackberry, and Windows Phone. 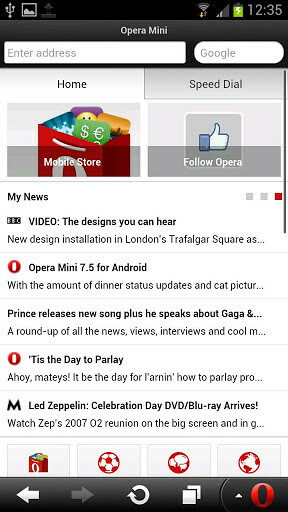 Opera Mini is a web browser to mobile devices such as mobile phones or PDAs. It runs on Java ME, Symbian, Android and Windows Mobile. 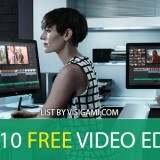 It is developed by Opera Software that puts free download. Unlike its counterpart Opera Mobile, it is based on a client-server architecture, which sets it apart from other competing browsers. 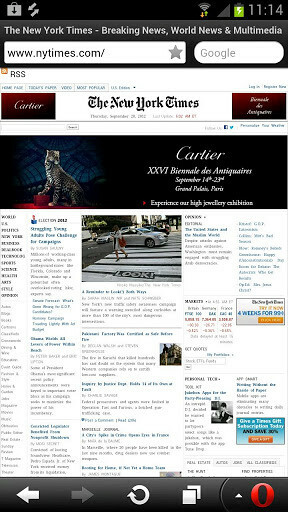 Before being sent to the mobile phone, the pages are made on a first hosted by Opera Software that fits the screen size proxy server, which improves the transfer size. Opera Mini is factory installed in many telephone operators and manufacturers. Opera Mini has been installed on over 100 million devices, representing approximately 1% of the market share of web browsers (desktop and mobile). 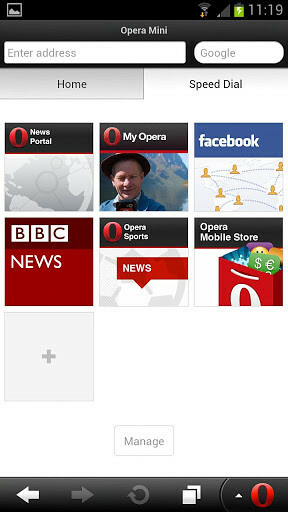 Unlike most mobile browsers, Opera Mini (customer) gets through web proxy hosted by Opera Software’s pages. 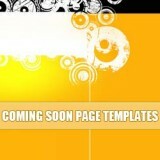 These proxy will take care to render the page to fit the screen size and resize images. The page is sent to the customer in a markup language, the OBML (Opera Binary Markup Language). 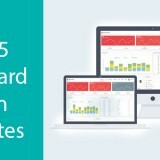 The program for this new version, some improvements in ergonomics as the ability to create an unlimited number of shortcuts on the home or even better tab management screen. The ability to rename a file before downloading it. This new version replaces Opera Mini 7.0. 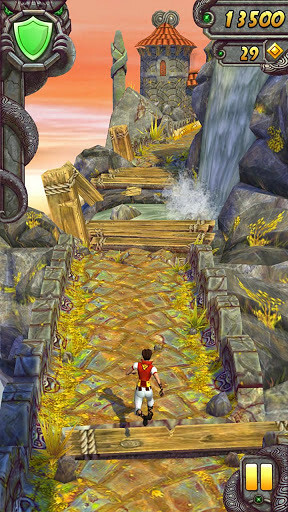 Temple Run 2 is a video game of “endless race.” Sequel to the original game, it was released on January 17, 2013 on the App Store for iOS. He later released on Android January 24, 2013. 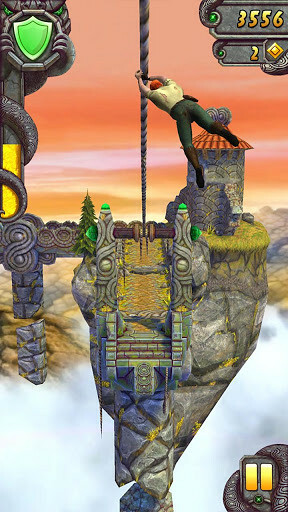 Temple Run 2 features the same plot and the same command mode than its predecessor, however, by introducing new obstacles such as zip lines, tracks mining, tighter turns and flames of fire. The game takes place in a new place and sees the main move at a faster pace character. The game also features new bonus. The three monkeys who continued the character in the original game have been removed and replaced by a single larger monkey, thus becoming the antagonist of the game. 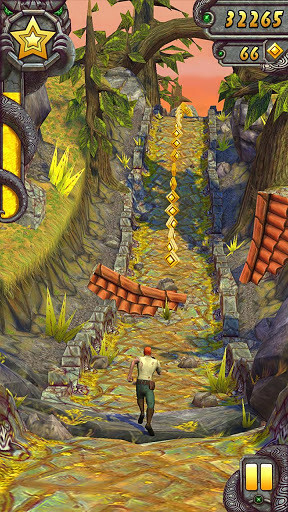 According Imangi Studios, Temple Run 2 was in development since March 2012 and has been developed by a small team of creative Imangi. 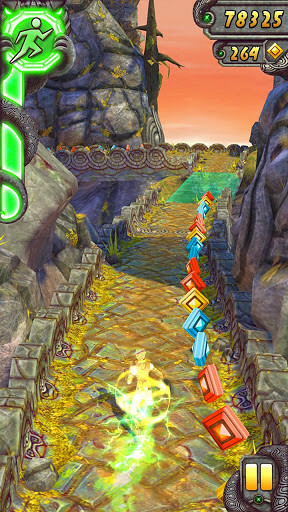 Imangi said that the main objective of Temple Run 2 was similar to the game and “familiar” to the original game, but to introduce new elements into the game and create a refitted experience Temple Run 2 was announced with a surprise declaration Imangi of January 16, 2013 saying he was going out on the App Store in New Zealand immediately and its international release would arrive a few hours later. The Android version was released on January 24, 2013. 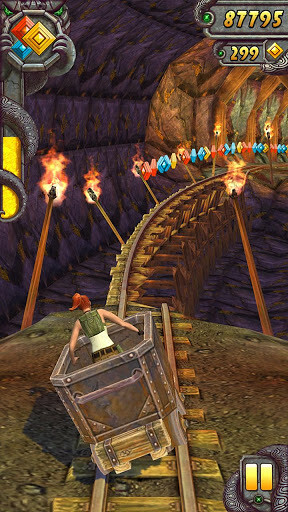 On the App Store, the game met with considerable success in the early days of its release, with over 20 million downloads in the first four days. 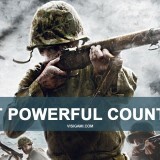 Overall, the games in the series they have been downloaded over 220 million times. 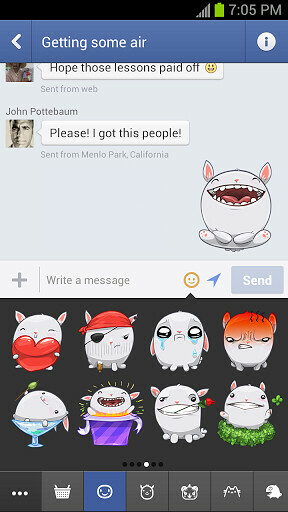 Facebook Messenger is a software application and instant messaging service that provides voice and text communication. 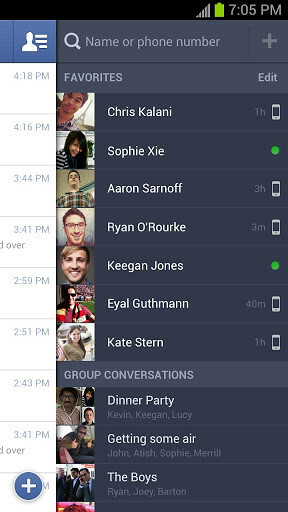 Integrated to chat social network Facebook and built with the open source MQTT protocol, Facebook Messenger enables users to chat with contacts both in its web platform and mobile devices. 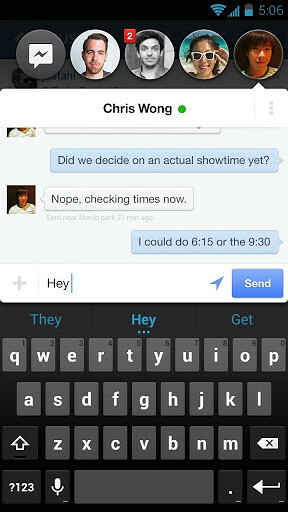 Facebook Messenger for mobile devices was released on August 9, 2011 for iOS and Android with an update on October 11 that made available for BlackBerry OS. 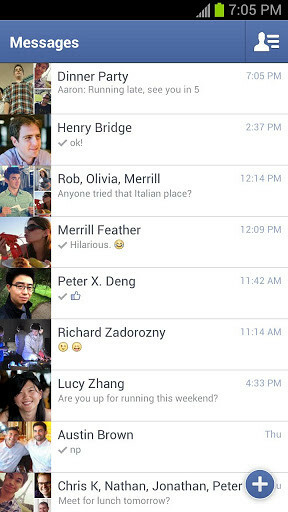 In December 2012, the Android app Facebook Messenger in some regions (such as Australia, India, Indonesia, South Africa and Venezuela) could be used without an account, just with the name and phone number. 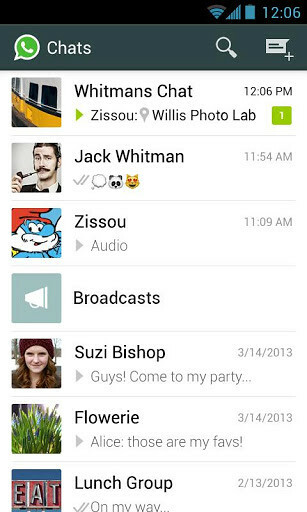 These changes were intended to be an alternative to WhatsApp application. 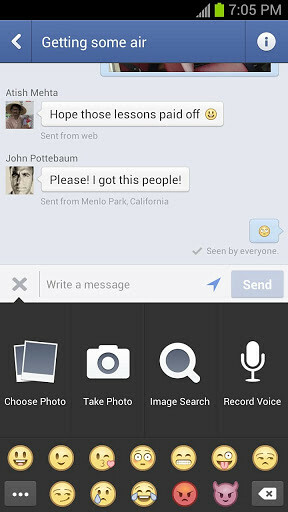 Subsequent updates added the ability to use Facebook Messenger client as a replacement text messaging on Android.